At a recent debate, Allen West sparred with Ron Klein over terror and national security. Klein's comments were dangerously ignorant. West stressed the need to be on the lookout for problems in Afghanistan, Pakistan and other countries. He recognizes that we cannot rely on forced alliances to protect American security. By contrast, Congressman Klein showed his ignorance and his adherence to conventional wisdom as a substitute for terror policy, callously stating that "Iran is the enemy" and that we must bolster the Afghani, Pakistani and other armies. To be sure, the Iranian regime is a huge enemy of the West and even of Saudi Arabia, but focusing on them alone is wrong and dangerous. In truth, Iran has the largest number of pro-Western citizens of any country in the Middle East, outside of Israel. There is hope for regime change, as long as we can stop radicals like Mousavi from hijacking those reform movements. And of course we need to deal with the current threat and the current regime. But that doesn't mean that we should turn a blind eye on the Taliban and al-Qaeda, as Ron Klein wants us to. To eradicate terror, we need to show common sense and firm resolve on the international front, as well as introduce domestic policy to end terror recruitment in prisons by sentencing non-violent offenders to work details or military service instead of long prison sentences where large numbers are recruited every year. There is no simple solution and only a multi-pronged change to domestic policy, coupled with foreign vigilance, will see the terror threat erased. But Ron Klein's position is shockingly ignorant and dangerous to America's security. By contrast, Allen West's is a tremendous step in the right direction. Congressman Ron Klein has failed to do anything in his four years in Congress and is dangerously naïve on the international front. Colonel Allen West understands global politics and what is needed internationally. It's time to give him an opportunity to lend his voice to solving our most glaring global problem. On Nov. 2, vote Allen West. The future of America relies on common sense solutions. Tags: Allen West To share or post to your site, click on "Post Link". Please mention / link to America's Best Choice. Thanks! Posted by Yomin Postelnik : Post Link --> 1:17 PM 1 Comments - Share Yours! Tags: American Hero, vote. 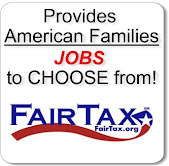 Tea Party, Government, United States, November, November is Coming, election, We The People, Constitution, USA, video To share or post to your site, click on "Post Link". Please mention / link to America's Best Choice. Thanks! Posted by Bill Smith : Post Link --> 10:14 AM 0 Comments - Share Yours! Tags: Florida, Senate race, Bill Clinton, Kendrick Meek, RNC, Michael Steele To share or post to your site, click on "Post Link". Please mention / link to America's Best Choice. Thanks! Posted by Bill Smith : Post Link --> 9:19 PM 0 Comments - Share Yours! 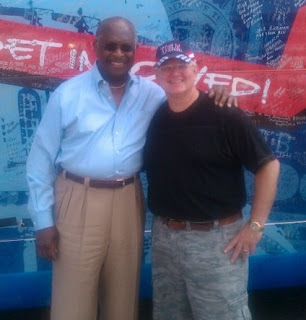 Dr. Bill Smith, Editor: If you have never heard and met Herman Cain, let me assure you that he is an outstanding speaker. If you have, you know the reason to bring your friends. 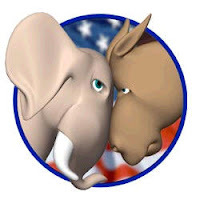 Tags: Florida, GOTV, Election 2010, Herman Cain To share or post to your site, click on "Post Link". Please mention / link to America's Best Choice. Thanks! Posted by Bill Smith : Post Link --> 12:32 AM 0 Comments - Share Yours! Tags: Florida, Governor, 2010 election, debate, Alex Sink, Rick Scott To share or post to your site, click on "Post Link". Please mention / link to America's Best Choice. Thanks! Posted by Bill Smith : Post Link --> 2:37 PM 0 Comments - Share Yours! — because he [Charlie Crist] couldn't beat Marco Rubio." Tags: Florida, US Senate, 2010 Election, debate, Marco Rubio, Charlie Christ, Ken Meek To share or post to your site, click on "Post Link". Please mention / link to America's Best Choice. Thanks! Posted by Bill Smith : Post Link --> 2:49 PM 0 Comments - Share Yours! Alex Sink: Allen West 2010, Ron Klein 2012? Yomin Postelnik, Chairman, A Better Florida PAC: This term will see redistricting, a once in a decade process by which all congressional, state level and regional seats are redrawn. We need to work hard to elect a Republican governor, unless we want to cede as many as 6 congressional seats to the Dems. As of this email, we may be well on track to seeing Allen West elected to Congress in South Florida. Alan Grayson appears to be going down to defeat. But elect Alex Sink as governor and Alan Grayson, Ron Klein, Suzanne Kosmas and Alan Boyd may well be back in two years, not to mention the future of the two new seats being gained by Florida in the process. The Governor has veto power over any redistricting plan. A Republican governor helps ensure that these seats stay Republican. A Democrat governor would demand compromise from the Florida House and it’s doubtful that Tallahassee leadership would hold the line in great enough numbers and have the media savvy to win that battle. That’s why electing Rick Scott is absolutely crucial to the Republican effort and why his race is the most important one in this election cycle. Who Should Be Retained In Office? Jorge Labarga – No – Undemocratically voted to remove the “Florida Health Care Freedom Act” from the ballot. James Perry – No - Undemocratically voted to remove the “Florida Health Care Freedom Act” from the ballot. No. 8 – No - Amendment 8 would only make a bad situation worse. While lack of a qualified hiring campaign, the Teachers’ Unions and an inflexible curriculum are primary causes of stagnation in Florida public schools, raising the class size without improving the curriculum by bringing creativity to the classroom or hiring more qualified teachers would only make a bad situation worse. Every dollar spent PROPERLY on education betters the future of the state and is even fiscally prudent, by leading to savings on criminal justice and juvenile delinquency programs. Increasing the class size without fixing the educational structure is just plain wrong. Recommendations are those of the A Better Florida PAC and not necessarily this site. Tags: A Better Florida PAC, 2010 Election, Allen West, Rick Scott To share or post to your site, click on "Post Link". Please mention / link to America's Best Choice. Thanks! Posted by Yomin Postelnik : Post Link --> 3:57 PM 0 Comments - Share Yours! TPMDC: A new Susquehanna (R)/Sunshine State News poll of Florida's 8th District shows fiery liberal Democratic Congressman Alan Grayson trailing his Republican opponent, former state Sen. Dan Webster. The numbers: Webster 43%, Grayson 36%, plus 6% for Tea Party candidate Peg Dunmire and independent George Metcalfe. The survey of likely voters has a ±4.14% margin of error. There is no previous poll of this race by this firm for direct comparison The pollster's analysis finds that Grayson's unfavorable rating is at 51%: "He's even more unpopular than the president, which is not surprising given how controversial he has been with his rhetoric, overall style and TV ads." In contrast to the negative ads aired by his opponent, Alan Grayson, Webster continues to address the important issues that are affecting our everyday lives. Cuts in spending, a jumpstart to the economy and restoration of the promise. Those who believe America is not broken but that Washington is and who are serious about sending congress a message will vote Daniel Webster in this year's upcoming election. Tags: Daniel Webster, Alan Grayson, Florida, District 8, FL-08, Congress, 2010 Election To share or post to your site, click on "Post Link". Please mention / link to America's Best Choice. Thanks! Posted by Bill Smith : Post Link --> 9:22 AM 0 Comments - Share Yours! Anthony Weiner Called Alan Grayson Crazy! Tags: Alan Grayson, Florida, Anthony Weiner, 2010 Election, FL-08 To share or post to your site, click on "Post Link". Please mention / link to America's Best Choice. Thanks! Tags: Sarah Palin, Florida, Republicans, To share or post to your site, click on "Post Link". Please mention / link to America's Best Choice. Thanks! Posted by Bill Smith : Post Link --> 8:01 PM 0 Comments - Share Yours! TALLAHASSEE — Republican Rick Scott narrowly leads Democrat Alex Sink in Florida's too-close-to-call governor's race thanks to enthusiastic conservatives and widespread dissatisfaction with the economy, according to a new St. Petersburg Times/Miami Herald/Bay News 9 poll. Tags: Florida, poll, Rick Scott, Alex Sink, governor, 2010 election To share or post to your site, click on "Post Link". Please mention / link to America's Best Choice. Thanks! Posted by Bill Smith : Post Link --> 11:16 AM 2 Comments - Share Yours! The Shark-Tank: The latest poll in the Florida CD-22 Allen West-Ron Klein race has West leading 47-44, in a poll conducted by the Sunshine State News Poll, which surveyed 800 likely voters on Oct 17-19, and has a margin of error of +/- 3.46 percent. Nine percent of respondents are undecided. Even more favorable for West is the fact that his 3-point lead grows to 5 points among respondents who say their chances of voting are “excellent” (49-44), and 4 points among “2x” voters, voters who voted in both 2006 and 2008 (48-44). For a complete look at the poll’s crosstabs, click here. Tags: Allen West, poll, Election 2010, Florida, FL-22 To share or post to your site, click on "Post Link". Please mention / link to America's Best Choice. Thanks! Posted by Bill Smith : Post Link --> 4:01 PM 0 Comments - Share Yours! by Javier Manjarres This Saturday, Governor Sarah Palin and U.S. Senate candidate Marco Rubio, along with Senator George LeMieux, RNC Chairman Michael Steele, and others will be attending the RNC’s Victory 2010 rally in Orlando, Florida. This is a great opportunity for Florida’s GOP electorate to come and support two of the Republican party’s rising stars in politics today. With only 12 days until election day, it is important that Republicans across Florida and across the nation support these candidates, as well as get out the vote. It’s simple- we get out the vote, we win! Tags: Florida,RNC, Sarah Palin, Marco Rubio, To share or post to your site, click on "Post Link". Please mention / link to America's Best Choice. Thanks! Posted by Bill Smith : Post Link --> 3:09 PM 0 Comments - Share Yours! U.S. wins bid to delay 'Don't Ask, Don't Tell' rulingThe Obama administration won a bid to delay enforcement of a federal judge’s order overturning the “Don’t Ask, Don’t Tell” policy that bars gays and lesbians from serving openly in the military. The government asked the court to take action today to postpone the ruling after the lower-court judge who issued it last month refused the administration’s emergency request yesterday to delay enforcement. U.S. District Judge Virginia Phillips in Riverside, California, ruled Sept. 9 that the policy violates constitutionally protected due process and free speech rights. President Barack Obama supports repeal of “Don’t Ask, Don’t Tell,” the government said in court filings. Still, terminating the rule should take place only after advance planning and training, the government said. The Defense Department’s findings on how the ban should be ended are scheduled to be completed Dec. 1. At least three service members discharged for being gay have begun the process to re-enlist after the Pentagon directed the military to accept openly gay recruits for the first time in the nation's history. The top-level guidance issued to recruiting commands Tuesday marked a significant change in an institution long resistant and sometimes hostile to gays. . . . The movement to overturn the military's "don't ask, don't tell" policy gained speed when President Barack Obama campaigned on its repeal. The effort stalled in Congress this fall and found new life last month when a federal judge in California declared it unconstitutional. The recruiting announcement came even as the Justice Department battles in the courts to slow the movement to abolish the 1993 Clinton-era policy. . . .
[DOD] has said it would comply with Phillips' order and had frozen any discharge cases. Pentagon spokeswoman Cynthia Smith said Tuesday recruiters had been given top-level guidance to accept applicants who say they are gay. . . . Tags: military, don't ask, don't tell, gay activisitm To share or post to your site, click on "Post Link". Please mention / link to America's Best Choice. Thanks! Posted by Bill Smith : Post Link --> 9:40 PM 0 Comments - Share Yours! Tags: ObamaCare, new, business, businesses, problems, To share or post to your site, click on "Post Link". Please mention / link to America's Best Choice. Thanks! Posted by Bill Smith : Post Link --> 6:27 PM 0 Comments - Share Yours! Barack Obama's Health Care Myths Are Busted! 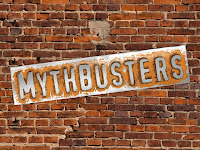 ARRA News Service - According to Politico’s Playbook today, “President Obama has taped an appearance for Discovery Channel's ‘MythBusters’.” Certainly, it’s nice for the President to show support for the science-focused education and entertainment that the show is known for, but it often feels like President Obama needs to be examined by a political version of such a show. Obama’s various declarations about the health care bill alone seem to have all been “busted” in the nearly seven months since the bill passed. Of course, the most prominent pledge to Americans from Obama and other Democrats about their massive health care takeover was that “if you like your current [health care] plan, you will be able to keep it.” But in the months since Democrats rammed through their bill, numerous reports have shown many people won’t be able to continue on their current plans. Just two weeks ago, The Wall Street Journal reported, “3M Co. confirmed it would eventually stop offering its health-insurance plan to retirees, citing the federal health overhaul as a factor.” And The New York Times reported earlier this month, “The Principal Financial Group announced on Thursday that it planned to stop selling health insurance, another sign of upheaval emerging among insurers as the new federal health law starts to take effect. The company, based in Iowa, provides coverage to about 840,000 people who receive their insurance through an employer.” And then there was the AP story in August that “A plan by Medicare to try to make it simpler for consumers to pick drug coverage could force 3 million seniors to switch plans next year whether they like it or not, says an independent analysis.” And in July, there were reports that restaurant employees could lose health care coverage because of new costs imposed by the bill. The assurances from President Obama and Democrats that their health care law would reduce premiums, lower government spending, protect Medicare, and allow Americans to keep their current plans, have all been clearly “busted.” Sadly, Americans could see most of this coming, and polls showed they consistently disapproved of Democrats’ scheme. Yet the President and Democrats forced the bill through Congress anyway. Still, though, Americans oppose this law. Almost seven months after Democrats gathered to congratulate each other for passing a bill only they wanted, Politico reports, “According to the Kaiser Family Foundation October Tracking Poll out Monday morning, overall support for the [health care] law has dropped to 42 percent – down seven points in a month. The percentage of those saying they have an unfavorable view of the bill rose four points to 44 percent.” Interestingly, Politico notes, “Opposition to the reform bill was stronger among likely voters: 39 percent have favorable opinions, 49 percent unfavorable opinions and 12 percent have no opinion.” Incidentally, the Kaiser poll has been the one poll consistently showing more favorable views of the health care bill among the public than other polls. Seven months later, Democrats’ claims about their health care law have been “busted,” and Americans still oppose the bill. It still needs to be repealed and replaced. 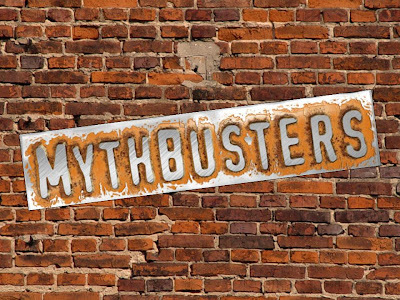 Mr. Obama, Your Myths are Busted. Tags: Barack Obama, health care, busted, myths, repeal the bill, ARRA News Service To share or post to your site, click on "Post Link". Please mention / link to America's Best Choice. Thanks! Posted by Bill Smith : Post Link --> 6:45 PM 0 Comments - Share Yours! by John Gizzi, Human Events: Nationally-recognized pollster Scott Rasmussen . . . predicted that Republicans would gain 55 seats in races for the U.S. House of Representatives November 2nd —m uch more than the 39 needed for a Republican majority in the House for the first time since 2006. But the man whose Rasmussen Reports polling is watched carefully by politicians and frequently quoted by the punditocracy said that whether Republicans gain the ten seats they need to take control of the Senate is in question. Tags: Rasmussen, polling, US House, US Senate To share or post to your site, click on "Post Link". Please mention / link to America's Best Choice. Thanks! Posted by Bill Smith : Post Link --> 2:39 PM 0 Comments - Share Yours! Bill Smith, Editor, ARRA News Service: A Movie You CAN'T Afford to Miss. 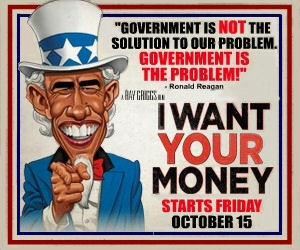 This Friday October 15, I WANT YOUR MONEY – the highly anticipated, hilarious Obama exposé that everyone is talking about - will open in movie theaters nationwide. If you’re tired of Obama’s big-government-tax-and-spend policies, YOU WILL LOVE THIS MOVIE! I WANT YOUR MONEY is a controversial new film about the competing economic visions championed by Presidents Reagan and Obama – a duel of speeches, wit, animation and narrative that leaves audiences laughing, cheering, yelling . . . and engages them in the national conversation about the mounting national debt, and why it matters. After all, IT’S YOUR MONEY THEY ARE SPENDING. I screened this movie and then participated in two advanced showings of the film to two very different audiences. One in Washington, D.C and one in the Arkansas Ozark Mountains. The movie resonated with both audiences and it will resonate with a majority of people except for liberal elites. Although a documentary, the movie is interspersed with animated cartoons which allows the viewer time to absorb the material and to have a laugh while points are illustrated. Without these cartoons the movie would indeed be shorter, peoples blood pressure would be elevated, and their minds would have been overtaxed with the reality of the present situation. There is also hope in this movie as the truth is shared about socialism which is destructive to individual freedoms and the well being of people. The words of Ronald Reagan share how capitalism, individual freedom and choice raises the economic well being of all people at all income levels. Audiences will find finds themselves cheering at the end movie when the "Gipper" takes on Barack Obama. Take your family and friends to this movie. While the November elections are upon us, this movie will help prepare people for conversations with their elected officials after the elections. It is time to hold them accountable at all levels be it Federal, State, County or City. Remember, it is "your money," your family and friends' money and the money of future generations that the government is taking and wasting. I Want Your Money includes insightful interviews with Newt Gingrich, Steve Forbes, Ed Meese, Mike Huckabee, John Stossel, Michael Reagan, Congressmen Tom McClintock, Thad McCotter and former California governor Pete Wilson, among many others, EXPLAINING CLEARLY WHY OBAMA’S PLAN HAS FAILED, AND WHAT WE NEED TO DO TO RECOVER. Over 3.5 million people have watched the trailer so far! Conservative friend and advocate for the movie Victor Vanden Oever provided promotional comments incorporated in this article. Tags: movie, I Want Your Money, released, theaters, your money To share or post to your site, click on "Post Link". Please mention / link to America's Best Choice. Thanks! by Javier Manjarres, The Shark Tank: Congressman Ron Klein and retired Lt. Colonel Allen West had their first debate in their battle for Klein’s Congressional seat in District 22. Local 10’s Michael Putney moderated the debate and drew out some very important distinctions between the two candidates. For starters, Congressman Klein reiterated his support of the TARP and the Obama Administration’s disastrous stimulus plan, while West strongly articulated his opposition to both the TARP and the Stimulus. Congressman Klein, like West, also said that he believes that small business need to be the beneficiaries of the tax cuts- Klein is one a growing number of Democrats in Congress that now support keeping the Bush Tax Cuts in place. The difference between the two candidates on the tax cut issue is very clear. West believes that there should be tax cuts across the board and the Government need to stay out of the way of businesses ability to create jobs and grow the economy-taxes stifle job growth. West also believes that the capital gains tax issue, as well as many other tax issues, need to be aggressively addressed. West countered by explaining that over the course of economic history, when taxes are cut and government stays clear of the process, the economy prospers. When Putney brought up West’s service in Iraq, and specifically an incident in which West was accused of using ‘torturous’ tactics to extract information from a suspected terrorist that had intelligence on planned ambushes against American soldiers, West took responsibility for his actions and stated that his job as an officer was to look out for his men’s well-being. Klein did not criticized West on his actions, he praised West for his military service, but he also came across very skittishly and stuttered his way through his explanation as to what soldiers face on the battlefield, as he attempted to try and make the case for his support the Military. On the issue of Don’t Ask, Don’t Tell, Congressman Klein supports repealing it, while West does not support repeal. As far as the President’s proposed pull back of troops in Afghanistan, Klein supports a measured pull back, as long as the commanders on the ground say so. West on the other hand, does not support any kind of timetable for withdrawal. West stated that the Taliban only “respect strength and might”, and that they (Taliban) cannot be trusted to negotiate. . . . West clearly showed that he was more in command of the debate and simply out-classed Congressman Ron Klein with his knowledge of the issues and the clear sense of purpose he exuded. Tags: Allen West, Ron Klein, Florida, FL-22, debate To share or post to your site, click on "Post Link". Please mention / link to America's Best Choice. Thanks! Posted by Bill Smith : Post Link --> 2:33 PM 0 Comments - Share Yours! 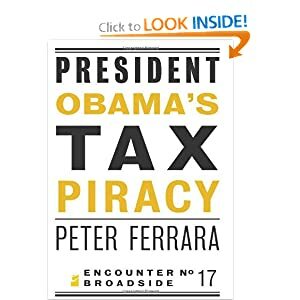 Tags: Barack Obama, tax, piracy, increased taxes, economic collapse, Ed Morrissey, Hot Air, Peter Ferrara, book, To share or post to your site, click on "Post Link". Please mention / link to America's Best Choice. Thanks! Posted by Bill Smith : Post Link --> 5:54 PM 0 Comments - Share Yours! 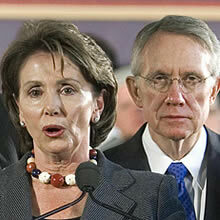 Tags: failure, govern, government, Harry Reid, Nancy Pelosi, Democrats To share or post to your site, click on "Post Link". Please mention / link to America's Best Choice. Thanks! Posted by Bill Smith : Post Link --> 12:47 PM 0 Comments - Share Yours! 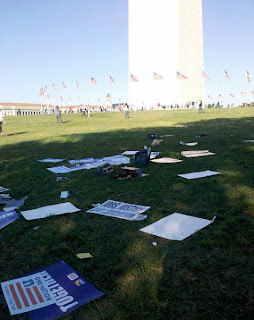 Socialist protesters and paraphernalia dominated Saturday's (10-2-2010) left-wing protest rally in Washington, DC. The so-called "One Nation" rally was led by labor unions as an attempt to counter Glenn Beck's Restoring Honor Rally, which took place in DC on 8-28-2010. They obviously didn't get it since Restoring Honor was about our Nation turning back to God and their attempt is to trun to a failed "ism"s which has led in the past to millions of deaths. 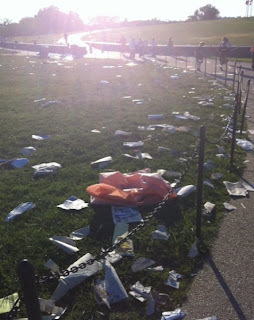 Tags: socialist, Left-wing, protest rally, Washington, D.C., One Nation, communism, trash To share or post to your site, click on "Post Link". Please mention / link to America's Best Choice. Thanks! Posted by Bill Smith : Post Link --> 9:38 AM 0 Comments - Share Yours! Are Liberals Lying About Trash? This is making me wonder if liberals are lying and saying that the pictures of trash from the One Nation rally are pics from the Restoring Honor rally. That or when confronted about the trash they are answering that Restoring Honor left trash also. If this weren’t the case, then why would they search about trash at Restoring Honor a month after the rally? Well I googled for results that could be found for these searches. 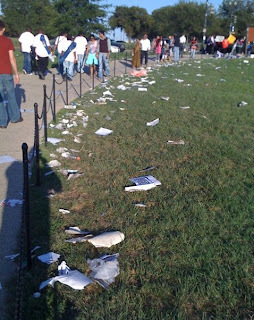 All links lead to comparisons that Restoring Honor attendees left no trash while One Nation left mounds of trash at all points of the rally. I guess those spreading lies didn’t think viewers, listeners or readers would do any research. Check this vid with cool funk/soul with the chorus being the name of the rally. Yeah Che! Communism is like kewl man! “One Nation under (what?)”? Check the lady after frame 1:01. Oh no, she wasn’t part of this mess. No. Not her. She thinks it’s horrible. But is she willing to grab a bag and her, her husband and her kid start picking up what they can? No. Remember kids, it starts with one person and the rest will follow. If you pick up yours and others trash, you can lead and others will follow. Worst of all? Frame 2:06 to finish, flag left on the ground by a tree. Video found via MEDIAite, commentary on vid mine. Cross posted from Michigan Redneck>Are Libbies Lying About Trash? Tags: Glenn Beck, One Nation Working Together Rally, Restoring Honor Rally To share or post to your site, click on "Post Link". Please mention / link to America's Best Choice. Thanks! Posted by Michigan Redneck : Post Link --> 9:54 PM 0 Comments - Share Yours! Tags: healthcare, PSA, parody, big government To share or post to your site, click on "Post Link". Please mention / link to America's Best Choice. Thanks! Posted by Bill Smith : Post Link --> 12:13 PM 0 Comments - Share Yours!